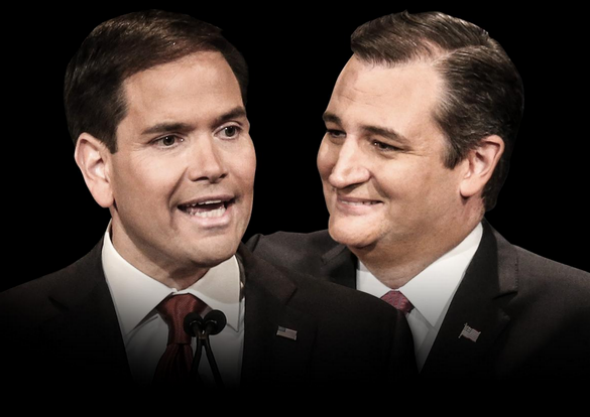 Marco Rubio and Ted “Suri” Cruz. A young man was arrested for making violent threats against University of Missouri students on the social media service YikYak. It’s almost winter in Europe and there are still hundreds of thousands of refugees with no place to go. The NFL’s Greg Hardy wrote “innocent until proven guilty” in his Twitter bio just days after Deadspin published evidence of his culpability in a domestic violence case that was dropped when his ex-girlfriend refused to testify. The CEO who controls ESPN added another conflict of interest to that network’s long list of said conflicts by agreeing to help build an NFL stadium. And Carly Fiorina admitted today, after a memorable debate zinger about not having met Vladimir Putin in a green room, that she had met Vladimir Putin in a green room.